Big Pharma keeps getting bigger but there are 5 companies that seem to be pulling away from the rest of the pack, standing out from the rest. These companies are breaking revenue and market cap records by buying smaller companies and developing their spoils into new therapies, platforms and technologies. With profit margins around 20% and a strong demand for new cures, there seems to be no end in site for the continued growth of these companies. Remember the much talked about patent cliff? It hasn’t hit big pharma as badly as was once predicted and has been partially offset by strong profit margins,new product growth and the intricacies of patent law. See this article in Med City for more insight. The global significance of these pharma giants is cresting and doesn’t seem to be slowing down anytime soon. The total worldwide revenue for the industry has reached almost $1 trillion and their continued growth is expected over the coming years. Roche specializes in biotech, oncology, in vitro diagnostics and hospital markets. They employ over 90,000 people in over 100 countries. This year, Roche has identified the drug, Ocrelizumab, which has achieved positive results in relapsing multiple sclerosis. 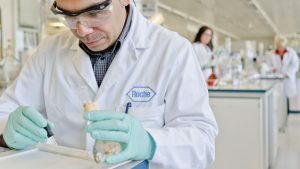 Roche is also the world’s largest biotech company and a global leader in cancer treatments. Pfizer continues to maintain its market momentum year after year. They consider themselves to be one of the world’s premiere biopharmaceutical companies. Pfizer gained popularity thanks to their consumer products like Lipitor, Lyrica and Viagra. 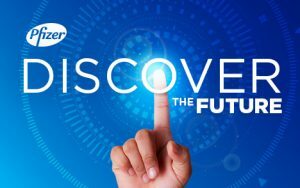 With 25,000 researchers testing 8,000 new compounds every year Pfizer remains at the top of the charts. 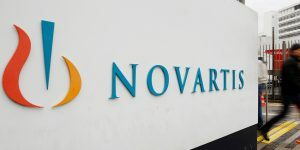 With their head office in Basel, Switzerland and several other locations worldwide, Novartis has proven itself as a true leader in the pharmaceutical industry. In 2016 Novartis experienced success with oncology, immunology and dermatology, and eye care. They supply products in more than 180 countries to over 1 billion people. 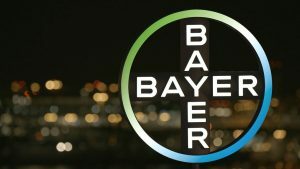 Bayer, which started back in 1863, doubled their revenue last year, putting them at the number two on the list – up seven places from last year. With improvements to health care and their portfolio, their position is only expected to improve. The company offers hundreds of household named products including Aleve, Afrin, and Claritin. With sales climbing, their portfolio growing and the improvements they are making to healthcare the company revenue continues to skyrocket. 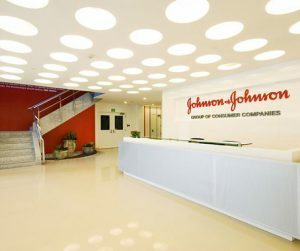 Johnson & Johnson remains above the competition in regards to revenue which keeps them nice and comfortable in the number one spot. In 2016 Johnson & Johnson released Darzalex, the first drug used to fight multiple myeloma. This organization produces everything from baby shampoo to Band-Aids, making them a common household name. Johnson & Johnson has secured its place at the top and shows no signs of giving up the gold!